In her candy coloured striped hat Rimas looked excited as she strode through the airport with her mum. She was going home at last! Charming her way through security Rimas’ exit proceeded very uneventfully. Mimicking Jennifer’s English she informed us all that it was, “Time to fly!” and, “Goodbye Tel Aviv!” Passing through the fast track lane, as she had a pacemaker in her little chest, she waved a final goodbye flashing her signature smile. Rimas was on her way home. A great day for Rimas today at Sheba. 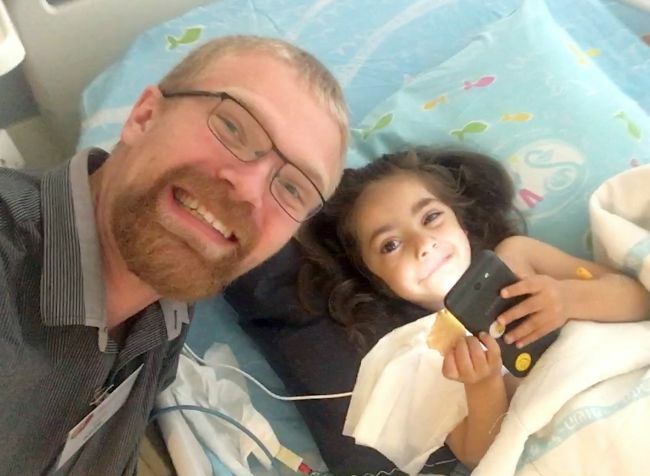 A good echo showed that the work on Rimas’s heart has been a success and she can niw return to Kurdistan. Praise God, this little girl has really made a miraculous recovery since her time post surgery. After being told that neurologically Rimas would never be the same again as she was pre-surgery, God has continued to show that He is above and beyond our worldly view of health. He has the final say. 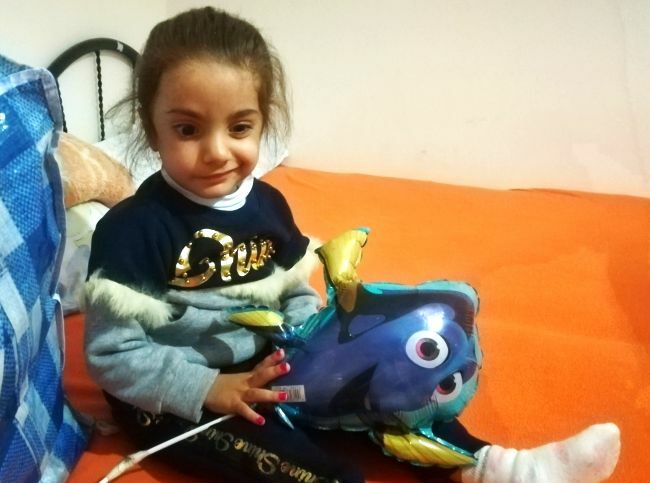 Rimas has transformed from the shaking, very distressed little girl unable to eat and drink independently or speak properly after her surgery. 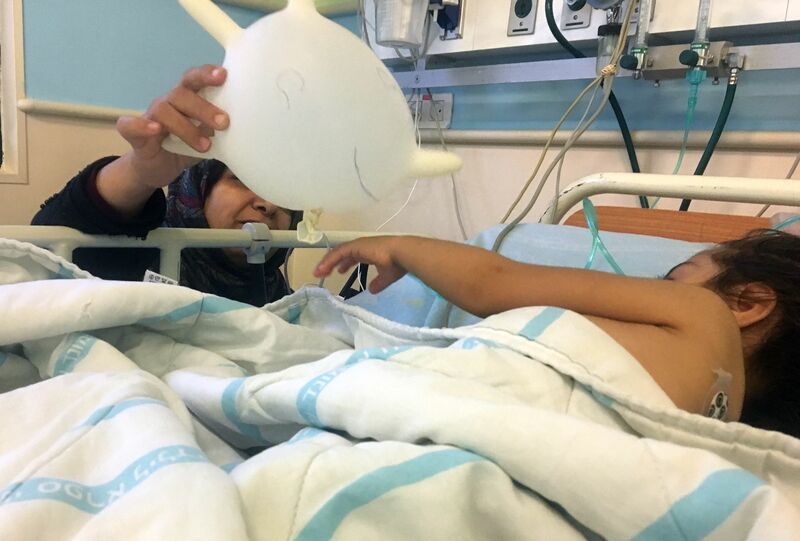 Now she is playing all of the time, using what seems like more language than before her surgery (including new English vocabulary) and going out of her way to be kind to the other children at Shevet. She is just a treasure. 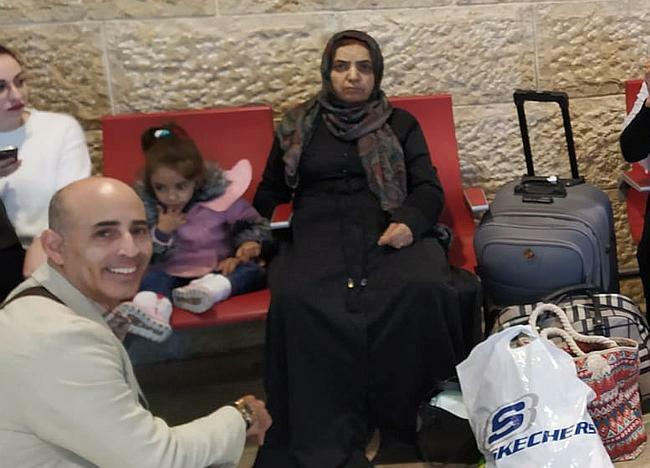 Praise God for His good works in Rimas’s life. 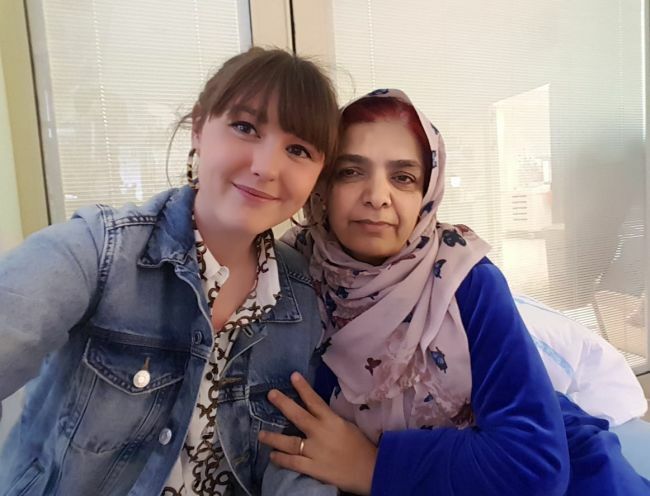 We found Rimas’ mum speaking with Noor’s grandma in the hospital today. She embraced us and lead us to the room where Rimas was in her bed. 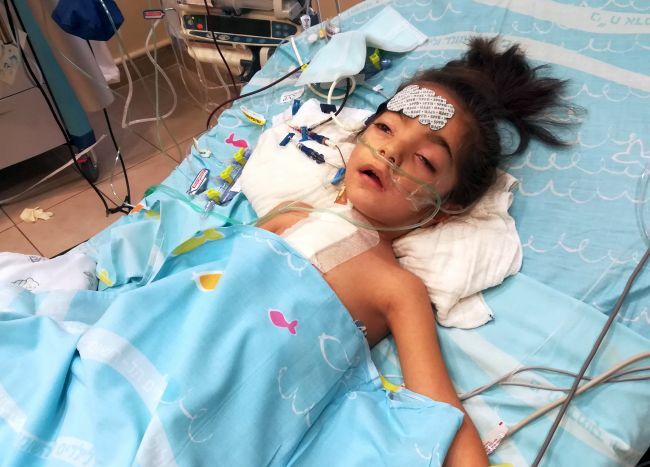 Rimas was intubated and shaky, with her eyes half open. Her mum pointed us towards her and sat down and cried. It was difficult to see her beautiful little face hidden under the tubes. 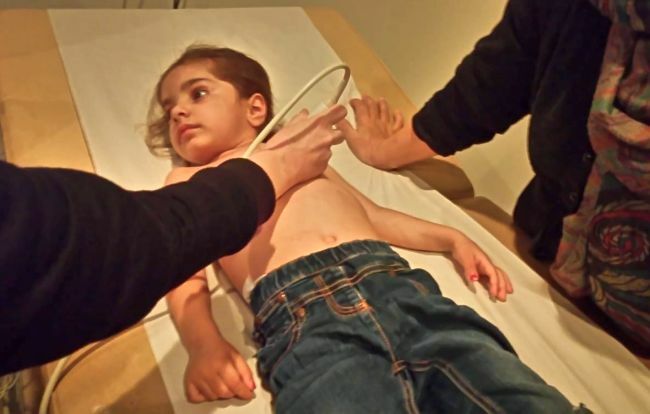 Mum showed us the pacemaker which is externally attached over Rimas’ tummy. But the nurse said that at the moment, her heart is working well and so she doesn’t need it, praise God. Mum left to get some water, and during these few minutes, a team of 3 nurses came and extubated Rimas. As mum came back, her face lit up and she rushed to hug one of the nurses. She is so anxious but happy to see each little step of her daughter’s progress. Please keep Rimas in your prayers. 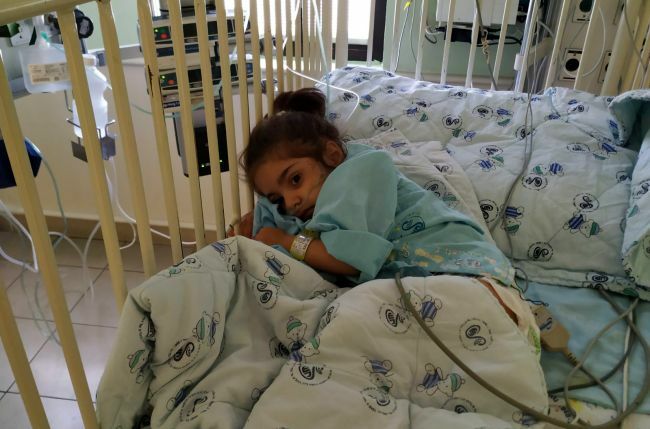 When we arrived at Sheba hospital Rimas had already been taken back for surgery. We waited for the mom in the waiting room. In a few minutes she came thru the doors, visibly very stressed. We sat with her while she called family members and cried a little. We were able to move to another waiting room so she could lie down. The surgery lasted over 3 hours. When the doctor came out, he said all went well but the VSD repair was a lot larger than they had thought. Talking to the Dr further we found out the although this part of Rimas treatment went well when she is strong enough, probably in a week, she will need a second surgery. 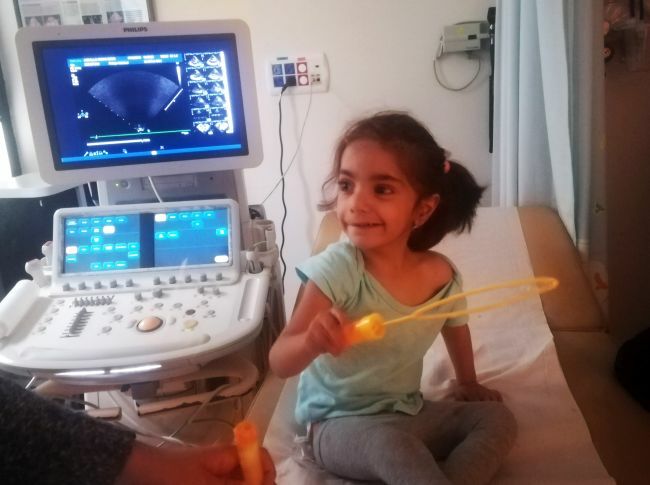 During this surgery the Doctors discovered that little Rimas also has a problem with her tricuspid valve, which they can repair in another surgery and an internal pace maker will be required. 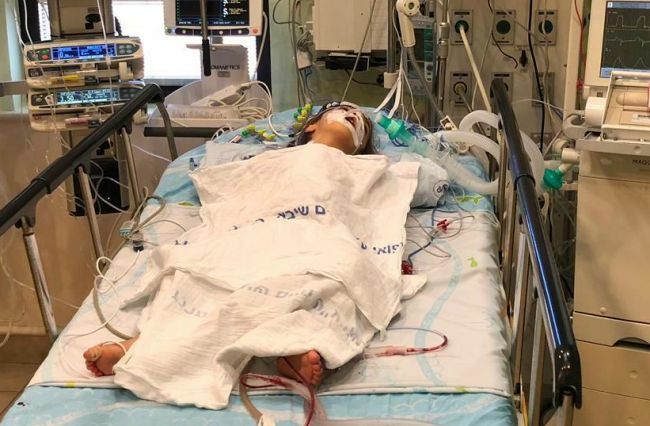 Little Rimas is in the ICU and still sedated and intubated. Mom is glad to be with her. Please pray Rimas recovers and gets strong for the next surgery and complete healing. Rimas had her appointment with the brain specialist. As you may have noted on her pictures she has a facial paralysis. The cardiologists want to be sure her brain is fine before they do her big heart operation. Thankfully, the doctor said that he doesn’t see any brain damage and they can go ahead with her heart surgery! Thank you, Lord! 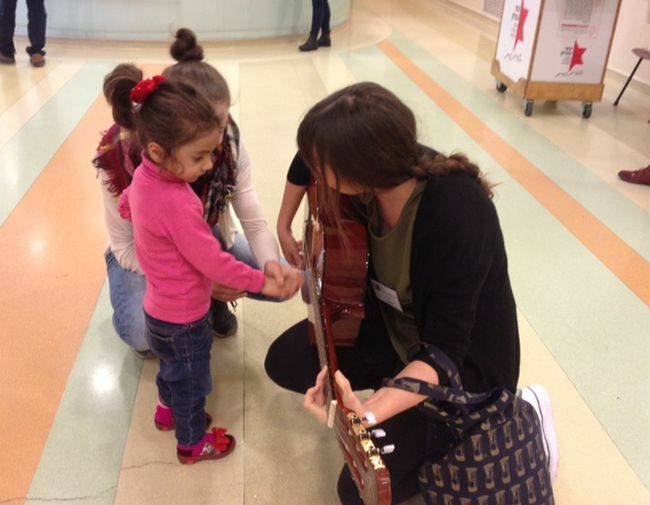 There was a long wait for the appointment so Rimas spent some time trying to play the guitar. She still is not used to the car seat but today there was less crying on our way back home. Now we are waiting for her operation! Rimas had her cath today, it was earlier in the day than we expected so I arrived just before she was wheeled out of the operating room. Grandma was sullen and apprehensive while waiting, but the moment Rimas came out, her whole countenance changed and she was beaming with excitement. After about 20 minutes, I went up to Rimas’s sleeping form and gently said, “Rimas, Bayani Bash!” (Good morning in Kurdish). She immediately sat bolt upright, ripped off her oxygen mask, and grabbed onto mine and her Grandma’s hands with a fierce grip. 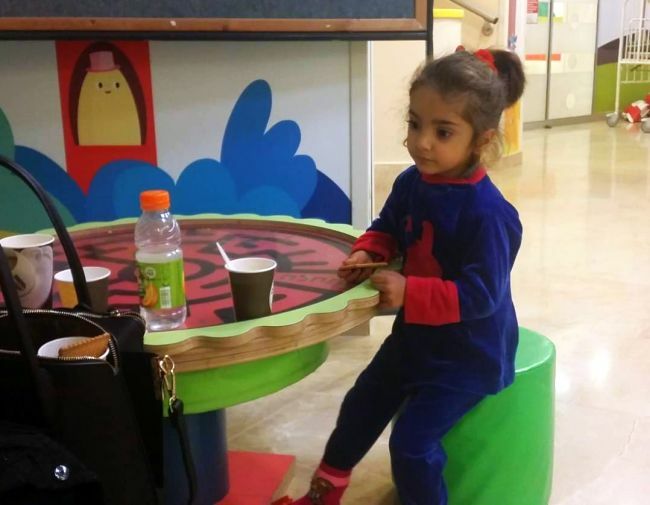 After being wheeled over to the ward, she quickly started to eat and drink despite her sore throat and nausea from the intubation. 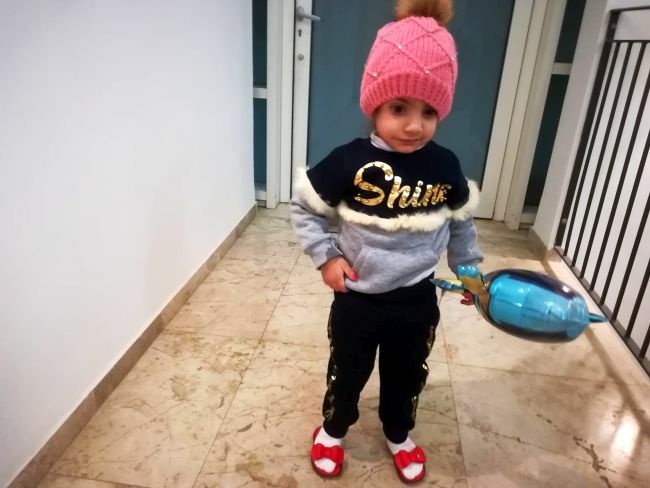 It was nice to see her face light up when she got to video call her mom and dad in Kurdistan. I’m excited to see what the coming months bring for this fiery and passionate little girl. Rimas is still terrified to be in the car and screamed the whole way to the hospital. But she did cry a lot less while there today. It was a very slow day but she was in good spirits all day and did well in her ECG, echo and oxygen saturation tests. All came back with the expected results. She was admitted in the late afternoon for her catheterization tomorrow. Mom is in good spirits and is helping to keep Rimas up well. Please pray for the strength of her mother and for her patience. 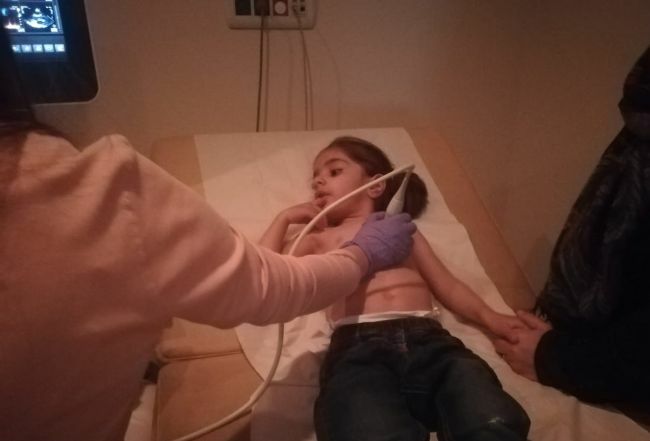 Today we took the beautiful Rimas with her lovely mother to her second appointment with the cardiologist. She did not enjoy her trip in the car; she was crying all the way to the hospital. She is not used to being in a car seat so we tried games, songs, and many other things but the only one that could calm her down a little bit was her beautiful mom. 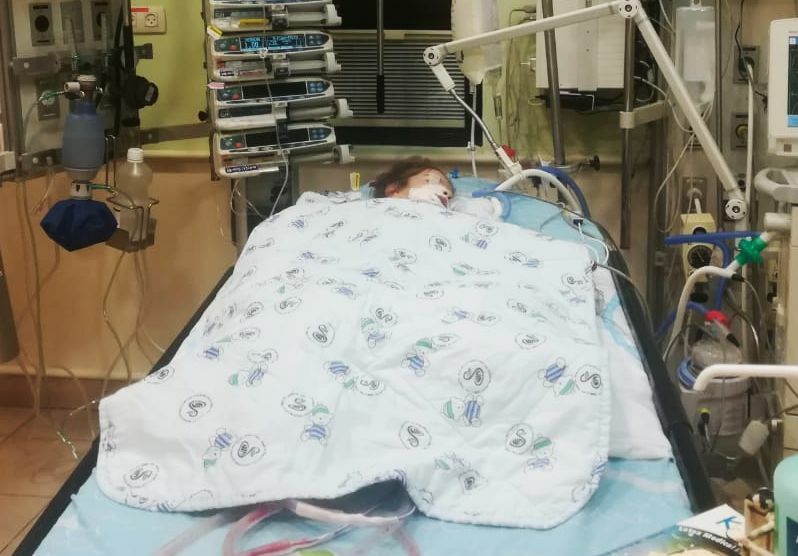 In the hospital they performed an ECG, an echo, and checked oxygen saturation, but in the beginning it was very difficult to calm her. She kept crying but the nurse gave us a bubble game, and I started playing with her to distract her. We also played a little video and she calmed down a bit more. While we waited for the doctor’s report she enjoyed coloring some pictures and running around the play area with Magda. 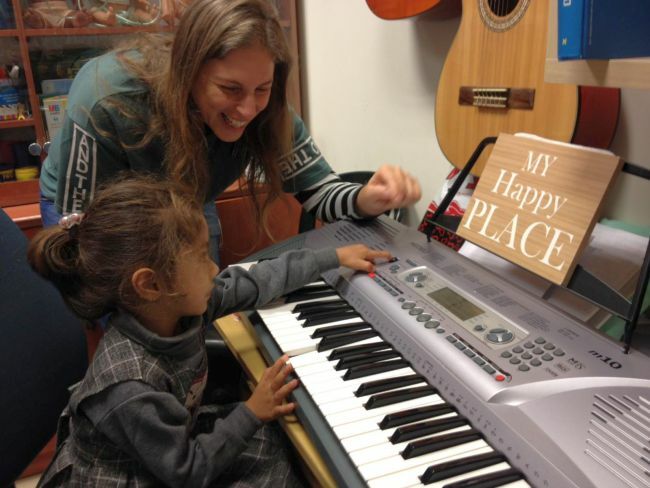 Then the hospital music therapist took her to the music room where she played the piano. Finally the doctor checked her and told us that in a week she will have another check-up and will be admitted for a catheterization and neurological evaluation. This will help them decide the next plan regarding her expected surgery. Please pray for this beautiful girl; for physical strength before each one of the procedures that are going to happen, and for strength and peace for her mother in everything that comes. 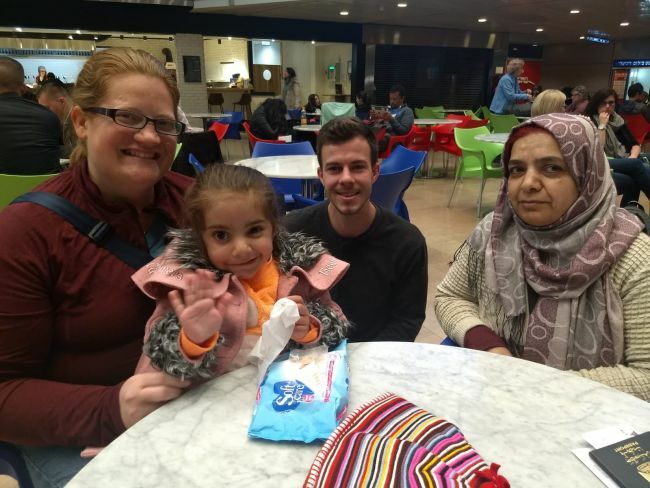 Beautiful Rimas arrived today with her mother, with two other families. Their travels have been delayed by the rain in Kurdistan, but this morning they managed to beat us to the airport when we went to collect them. Rimas was quite distressed and upset during the car journey to the hospital and sought out comfort from her mum. 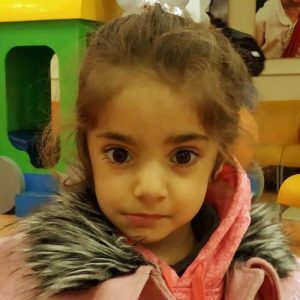 Her mum explained that Rimas had damage to cranial nerve 7, which has resulted in a facial palsy, which has been apparent since birth. 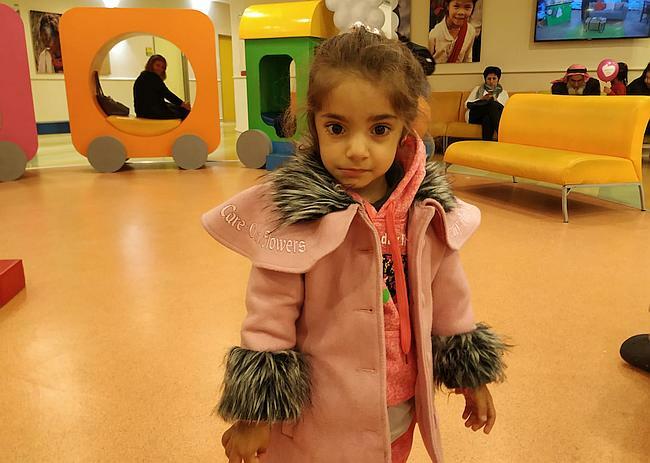 So she has been to the doctor often for check ups, but there was no notice of her heart condition, until one one assessment when she was two years old, her heart rate was very high, so further investigations were carried out on her heart, and the need for surgery was identified. Mum was pleased to see that there were other children on the other side of successful surgeries, and seemed very hopeful. 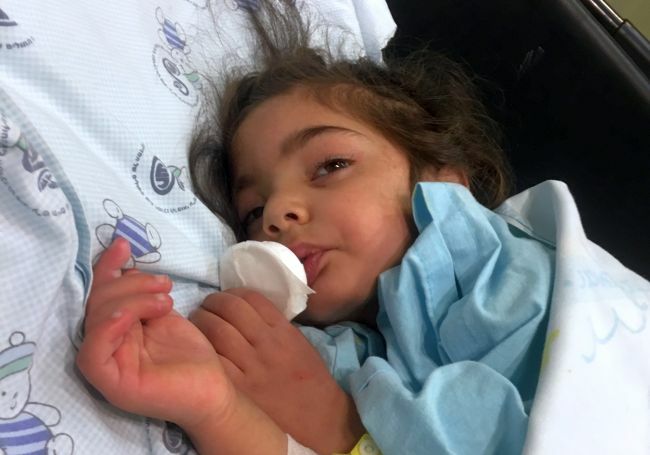 As for now, Rimas needs to be scheduled for a catheterisation for further investigation before deciding on a plan for surgery. 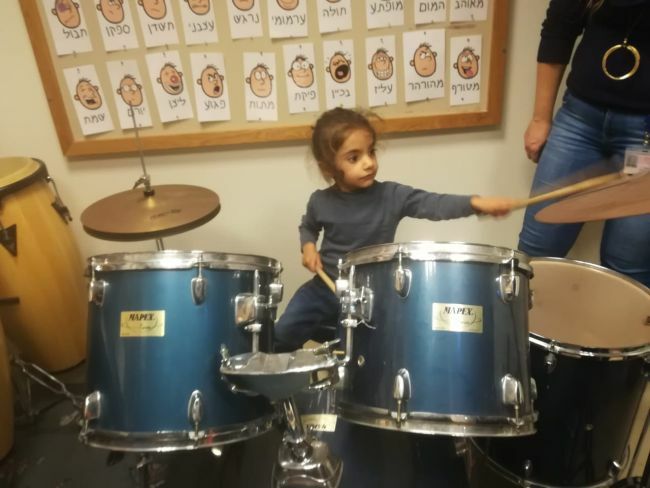 Please pray that these lovely ones will settle into home here at Shevet. 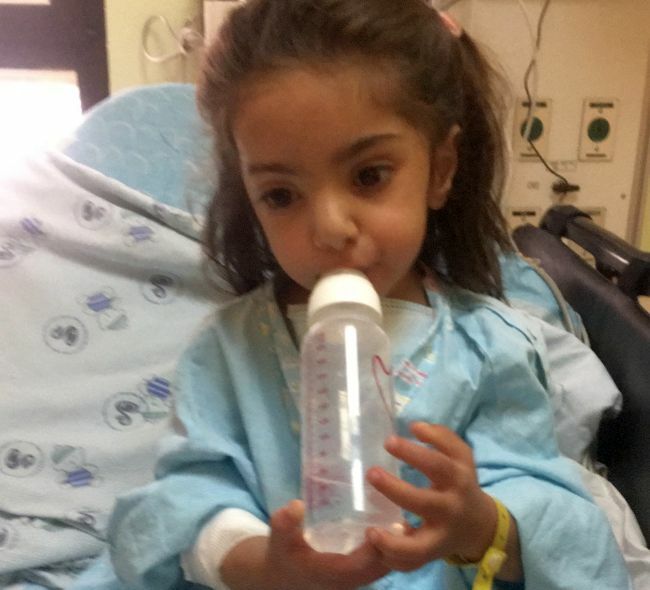 As of right now, Rimas still needs $3500 toward surgery and related expenses.